Makes it easier to fall asleep, by stimulating your brainwaves down to a more relaxed frequency state. During the last 5 minutes of the session, the frequency of the tones is gradually increased up to 12Hz in Beta. This helps to overcome the problem of ‘sleep inertia' and the recovery period you normally need after a nap. 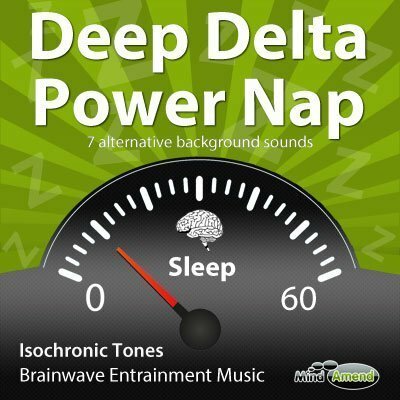 Get a package discount here when you purchase Deep Delta Power Nap, with Theta Power Nap (30 minutes). Theta Power Nap works in a similar way to Deep Delta Power Nap, but the session is 30 minutes long instead of 60, and the frequencies don't go as low/deep. So if you plan on power napping for different time periods, depending on what time you have available, it's important to use the right session to match the time you plan on napping for.